Brenda’s life was thrown into upheaval when she was diagnosed with liver cancer after several doctor visits and tests throughout the year. Since the diagnosis, she was informed that she would need a liver transplant and Brenda is currently on the waiting list. Brenda is one of the highest spirited, outgoing and loving individuals you’d ever hope to meet and she needs our help. The cost of a transplant can be overwhelming. Transplants are life saving but financially draining. Even with insurance, Brenda is facing very high expenses including medical bills, co-pays, lab fees and the very expensive anti-rejection medications that she will need to take for the rest of her life. 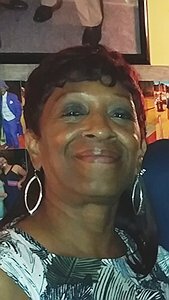 To help with the financial burden of Brenda’s uninsured expenses, a fundraising campaign in her honor has been established with Help Hope Live, a trusted nonprofit organization that has been providing community-based fundraising guidance to patients and their families for more than 30 years. All donations are tax-deductible to the full extent allowed by law, are held by Help Hope Live in the Mid-Atlantic Liver Transplant Fund, and are administered by Help Hope Live for transplant-related expenses only. Please consider making a contribution.